These are not your formal dishes. They are your very best everyday dishes! 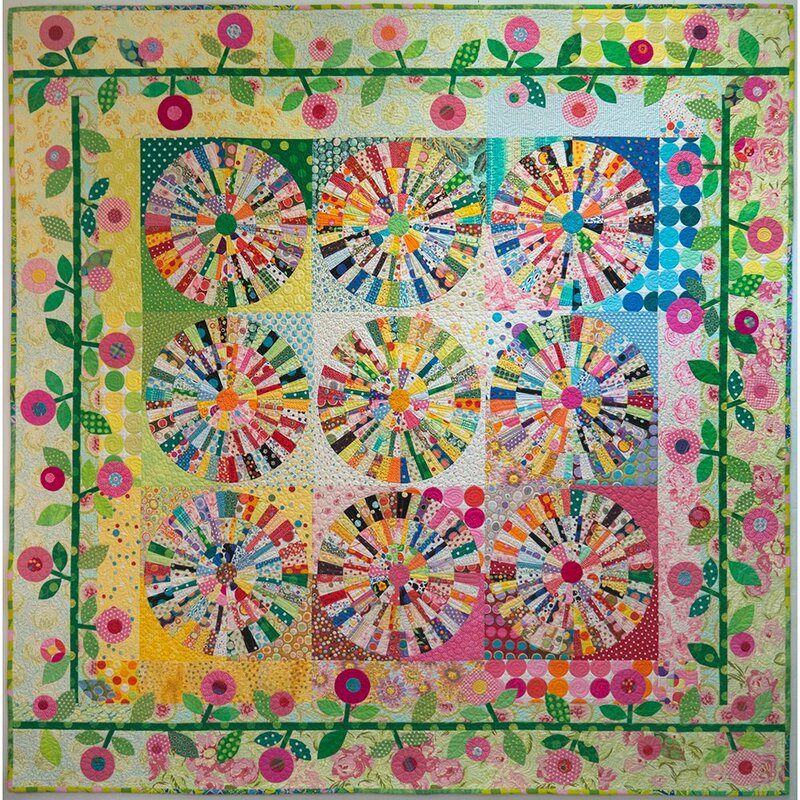 It combines lots of dots with floral prints and stripes to make this a very perky quilt. 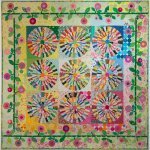 This quilt has a finished size of 73" x 73". 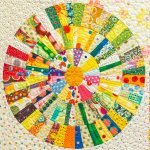 Everyday Best is also included in the eBook, Quilts With A Spin. A full-size black and white pattern for the foundation paper pieced arcs and the appliqued border. Please note that the pattern pages are on 8 1/2" x 11" pages that must be trimmed and taped together to make the full-sized patterns.